1Click live video chat app lets you do business face to face with your customer. 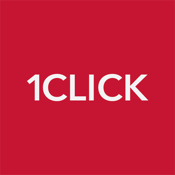 1Click app is WebRTC based with cloud based video infrastructure built specifically for businesses. Our app and sdk lets you leverage our video call center for customer support, pre-sales, post-sales and training activities. 1Click iOS sdk is available for iOS app developers who are interested in adding live video/audio calling capability into their apps. 1Click supports features like video or audio calling, screen sharing, recording, text/image/video/audio messaging. iOS developers can now enable enhanced customer support features into their apps by quickly integrating with 1Click iOS sdk.